First off the story is very good with some exceptional moments. The characters are well realised and the whole tone feels as though it was ripped right out of the season 22. Even the end, while still larger in scope than anything else feels as though it would not have been hugely out of place had it been filmed for TV. So why do I have a reservation? Well the main problem that I personally have is I have not been following the story of Daniel Hopkins (Blake Harrison). This is the second story that features him and I feel not the last. Having missed the first part of this story released back in April 2018 I have no connection with these characters. Colonel Lewis Price (Russ Bain) makes a return as well and we find out that things have moved on since the Doctor’s (Colin Baker) last visit. It has been five years and Daniel has seen the death of his wife and child in a house fire. This has left him bitter and angry. I thought Blake Harrison did an exceptional job conveying the pain that Daniel was feeling through his conversations with other characters and I believe that this was one of the standout performances of the story. However I do not have a connection with this character and I feel it relies a little too much on a story released 3 months previous. The twists and turns of the story almost depend on you having a connection with these characters and as I felt a little left out the twists did not have as big an impact on me. There is a massive reveal towards the end of the story that I feel has been a little spoiled by Big Finish’s release schedule. I say this because I have recently heard a similar story line in the last few months and I wish that Big Finish had spaced these releases out a little more. The story itself involves the Doctor arriving at UNIT at the same time as an invasion by the Cybermen. Their main aim is to convert all of the humans on Earth and press them into service as Cybermen. In the mix are three Veridians, the stand out being Riva (Frog Stone) In fact there was a section of part 3 involving the Doctor, Riva, and Daniel that made me long for them to be the new TARDIS team. Also returning to voice the Cybermen are Mark Hardy as the Cyber Lieutenant and David Banks as the Cyber Leader. These two are perfect and recreate their roles with ease. I felt I was back there watching Earthshock and Attack of the Cybermen. In fact the sound design across the board contributes to this amazing feel that we are back in regular TV continuity. The music is spot on and Steve Foxon deserves to be recognised. I even took the time to listen to the music section after part 2 it was that good. In summary this is an excellent story that is hampered a little by continuity. I would recommend listening to The Heliax Rift to get a handle on these characters as it might make the story more impactful, especially if Big Finish has plans for these characters to be return in the future. If you like Cybermen from the 1980s era of Doctor Who then this is certainly for you. 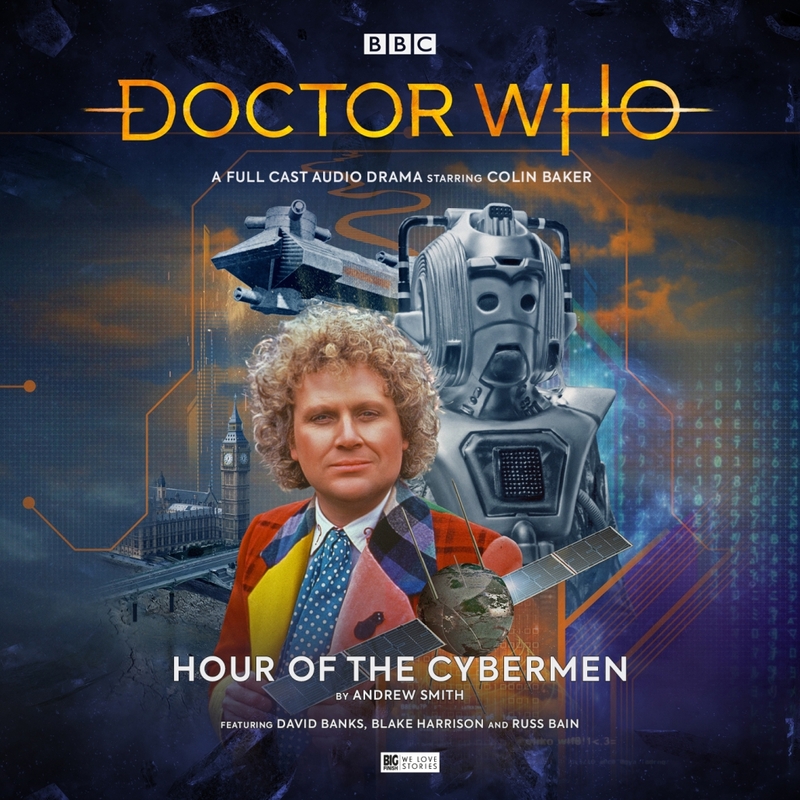 It is a fast paced adventure with excellent plotting, great character moments, outstanding performances all round, some cracking Cybermen action, and sound design that takes you back to the 80s.